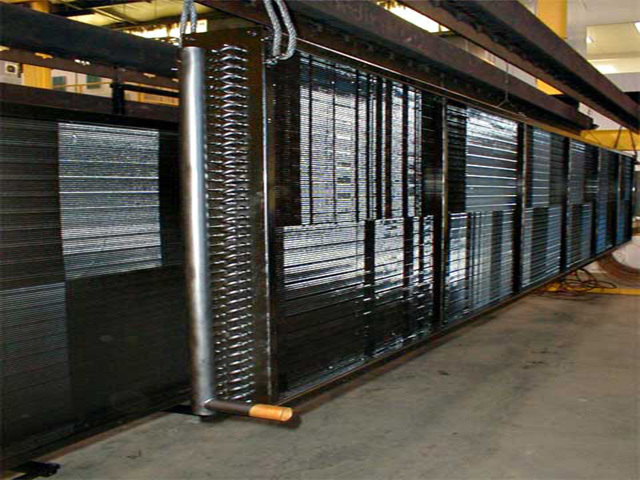 1 - e-Coating Process Chemistry: ensuring a consistent chemistry is important to the life of the radiator or heat exchanger. This technician recalibrates test equipment regularly to maintain the even work flow expected of a first-class operation. 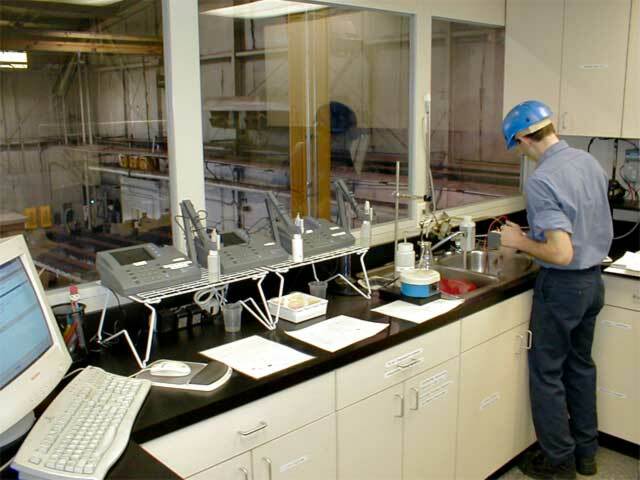 2 - e-Coating Facility: this technician monitors the units as they proceed through the incremental stages of coating. This monitoring is important to the process as "consistency" in coverage is the watchword. 3 - e-Coating Conveyor Dip: these units, although large, have just been coated and await further processing. Note the uniformity of the coating as the light reflects off the fins. 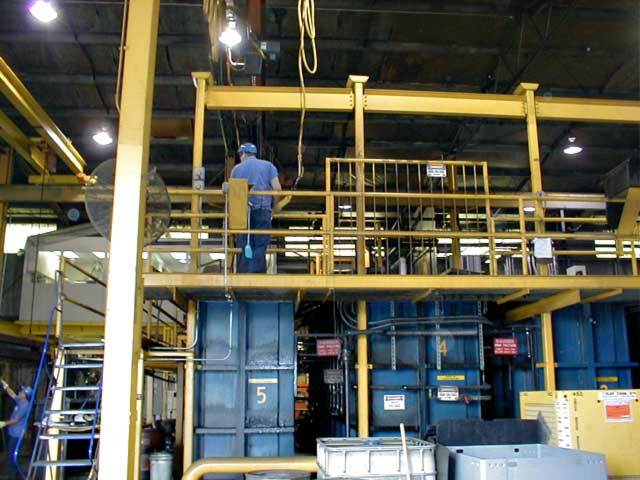 4 - e-Coating Safe Handling: having the proper equipment to do the job is just as important as the chemistry and the process itself. This worker keeps a safe distance when handling these large coolers. Maintaining a clean and clear work area is also paramount for the efficient movement of these coolers. 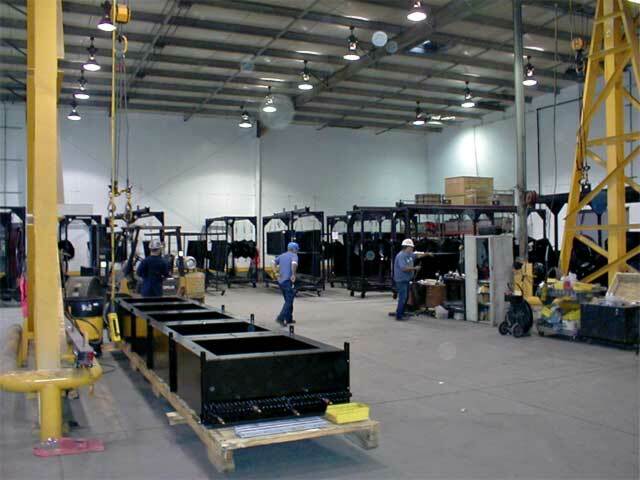 5 - e-Coating Final Stage: awaiting the final stage of the process (crating, labeling, and shipping) these units provide the proper scope for the size of the operation. 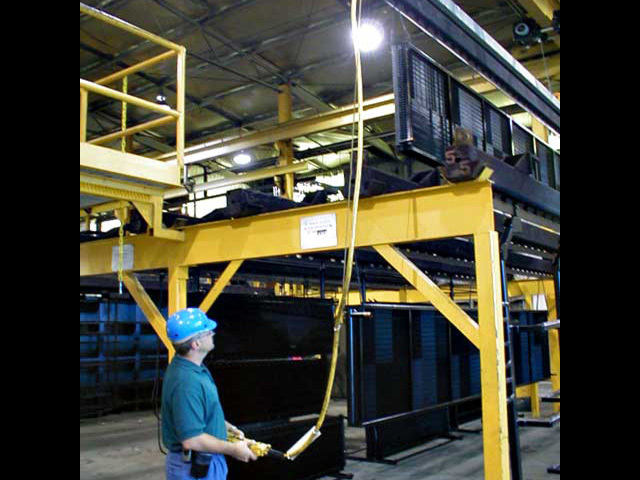 Adequate safety procedures coupled with proper worker respect for the size of these units, makes it easy to keep to a production schedule and still provide top-quality service to many satisfied customers. Why Se-Cliff over other e-Coaters? Voids within the interior of the fin nest as a result of too little current driving the paint. Clogging in the interior and face of the fin nest as a result of overcompensating and using too much current to drive the paint. A phenomenon occurs when the e-Coat paint formula cannot handle the necessary current for the complex geometry. Hydrogen is stripped from the paint, creating bubbling on the surface of the part.